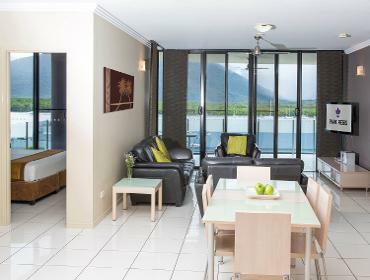 Although Piermonde Apartments do not currently have any conferencing or function facilities on site, our friendly staff are happy to assist you in booking a room at the Cairns Convention Centre, merely minutes from your hotel. The environmental and uniquely designed Cairns Convention Centre is an award winning venue and is a ten minute trip from Cairns International Airport. Visitors have the option to book for any number of delegates, whether you are looking for a room to hold 300 or 3,500. Enjoy the convenience of location and great atmosphere of this purpose build venue.